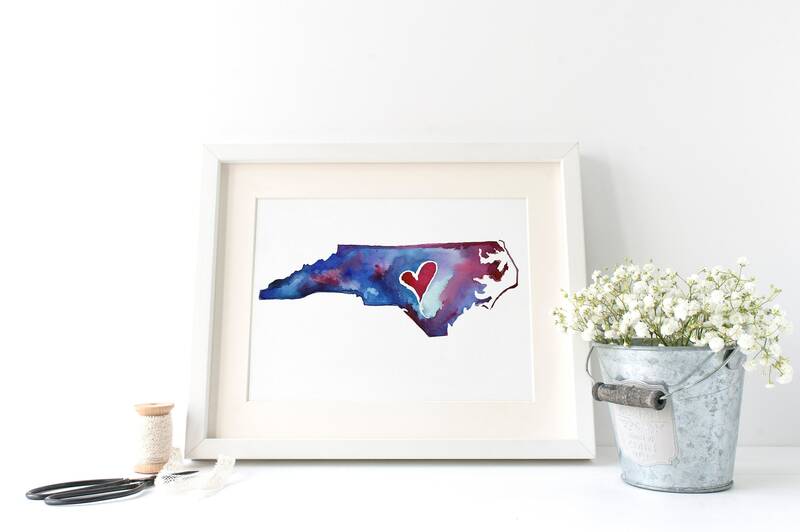 Show North Carolina some love with this simple watercolor state design. This watercolor image was handpainted by Sheila Faye. 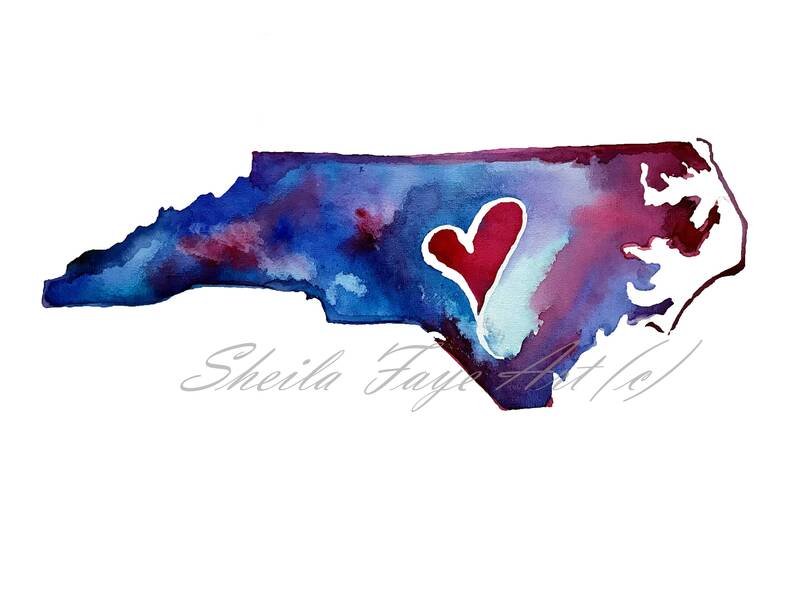 Sheila was inspired to paint her love for NC while she was evacuated for Hurricane Florence. This is a 9x12 giclee print on fine art watercolor paper. This print does not come framed. You will receive a 9x12 print in the mail within 7 business days.